When company founder, Katie Brown, began to feel the frustrations of the data collection demands placed on her as a secondary classroom teacher, she decided to do something about it. Armed with nothing more than a sketch pad, she began to dream up what an ideal classroom data collection tool would be for educators. After surveying over 500 teachers all across the country, Katie put together a robust and passionate leadership team and over the next six months, they developed ClassMax, a data collection platform for 21st century teachers. ClassMax began by offering affordable, reliable, and efficient individual teacher accounts. After the popularity of these stand-alone users, the company began developing a school-wide platform which uses AI analysis to provide insights and information to administrators with data collected by their teachers. ClassMax Schools was launched in August of 2018 and has become successful enough to begin the development of ClassMax Districts in the spring of 2019. Katie Brown is the founder and CEO of ClassMax. As a veteran secondary classroom teacher, Katie felt the frustrations of the push towards data collection and management in her own classroom. From this frustration, and with her dynamic leadership team, Katie founded and created ClassMax, a data collection tool for 21st century teachers. ClassMax is in thousands of classrooms across the county, changing the way teachers are collecting and utilizing data in their instruction. Katie has a Bachelor of Arts in English from Florida State University and a Masters in Science in Educational Leadership from Quinnipiac University. 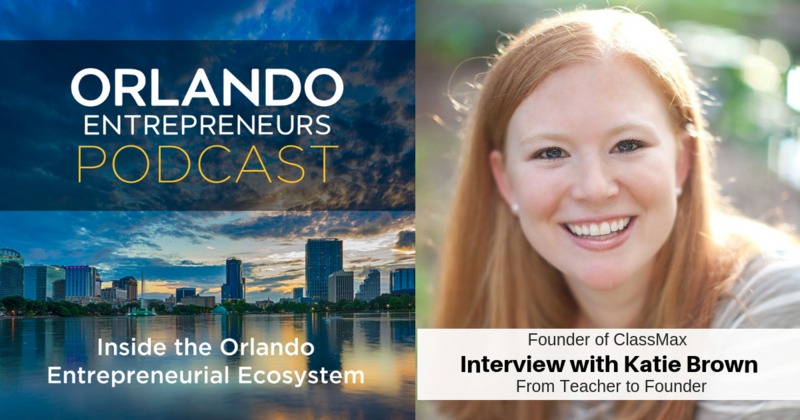 She is a former Digital Curriculum Teacher Leader in Orange County Public Schools and recipient of the Teacher of the Year, Rotary Citizen of the Year, and Spirit of Women in Excellence awards. She currently serves as President of the Dr. Phillips Elementary PTA and is active in the Dr. Phillips community with her husband, Chris, and her two children, Michael and Gracie.